Find the right tool to tame your shrubs and keep your landscape looking sharp. The shape and tidiness of your shrubs is a crucial component of curb appeal. 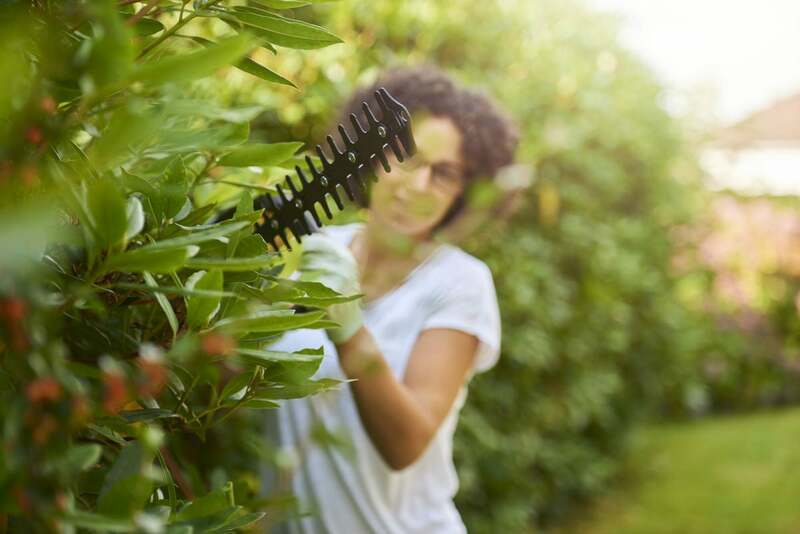 Whether you’ve got a densely landscaped plot with all manner of hedges and trees or a simple series of bushes lining the perimeter, regular upkeep is critical. 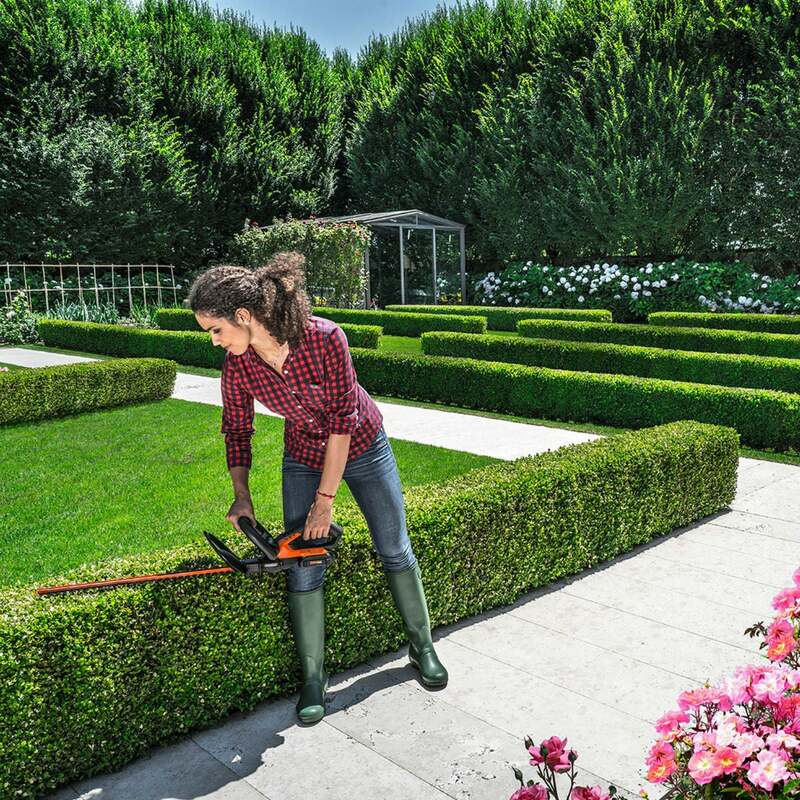 Luckily, with today’s power trimmers it’s easy to groom that growth like a pro, saving you the cost of hiring a gardener. 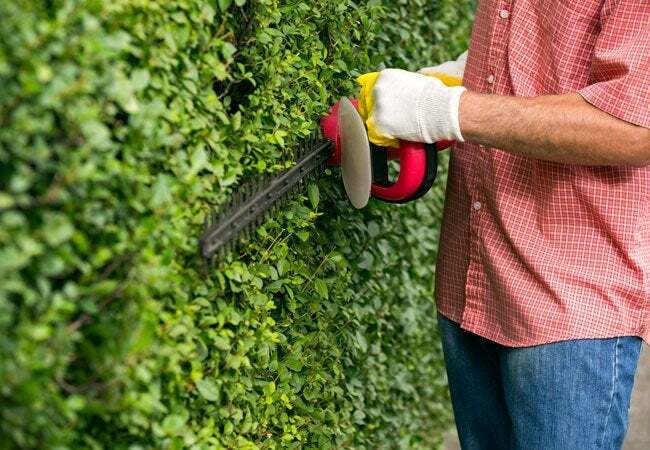 We’ve got the lowdown on the different types of tools and the most highly recommended models to help you pick the best hedge trimmer for your property’s needs. Find your type. You’ve got two options: gas and electric. The one you choose will be based on how much power and portability you’re after. Gas-powered hedge trimmers. These tough tools, which generally require both oil and gas to run properly, tend to work harder than their electric counterparts. The downside to more power is weight: Gas hedge trimmers may be more than 10 pounds, making it a challenge to reach up and around tall shrubbery. Electric-powered hedge trimmers. While they don’t provide quite as much oomph as gas-juiced models, electric trimmers are usually lighter, making them easier to wield at chest height or higher. Lower-priced corded models offer uninterrupted use but less mobility because they’re plugged into an outlet—a problem for larger yards. 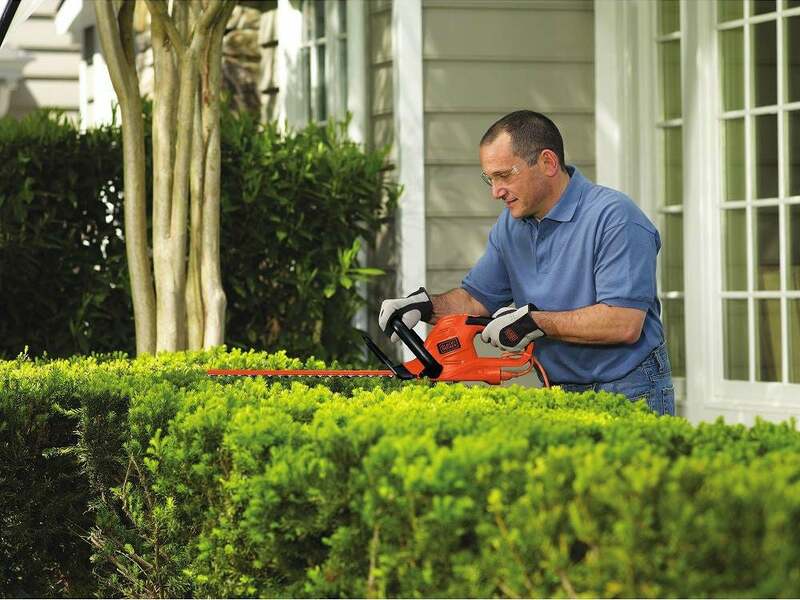 Battery-powered trimmers mean total freedom of movement, though you must recharge or replace batteries regularly. Choose a cut above the rest. Another factor to consider is how big of a branch the trimmer can tackle. Most slice through branches up to ½-inch thick, while more powerful models can usually handle up to an inch in diameter. Check the size of the gap between the blade’s teeth; the greater the gap, the higher the cutting capacity. 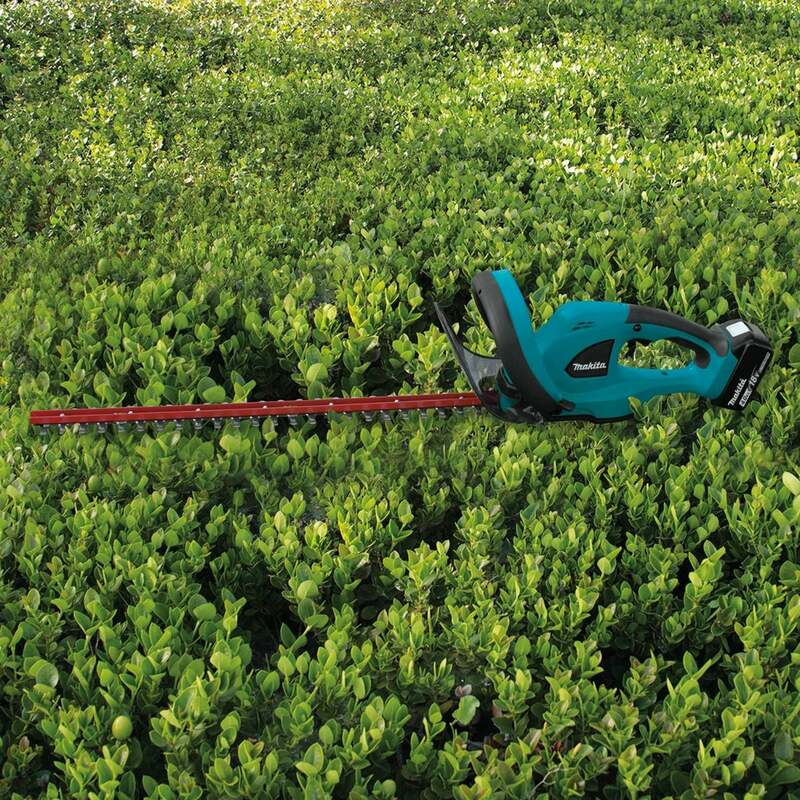 A majority of trimmers have a gap between ⅜ to ¾ of an inch to manage common hedges cleanly. So what really makes the cut? We’ve scoured reviews from both the experts who tested selections out in their laboratories and the consumers who have added these power landscaping tools to their collections to find today’s top models. The 11.5-pound DeWalt DCHT820B runs on a powerful 20-volt lithium-ion rechargeable battery that’s interchangeable with a handful of other battery-powered DeWalt landscaping tools. Amazon customers note that its battery life lasts between 20 to 40 minutes, full power, and give it 4.8 out of 5 stars for performance. 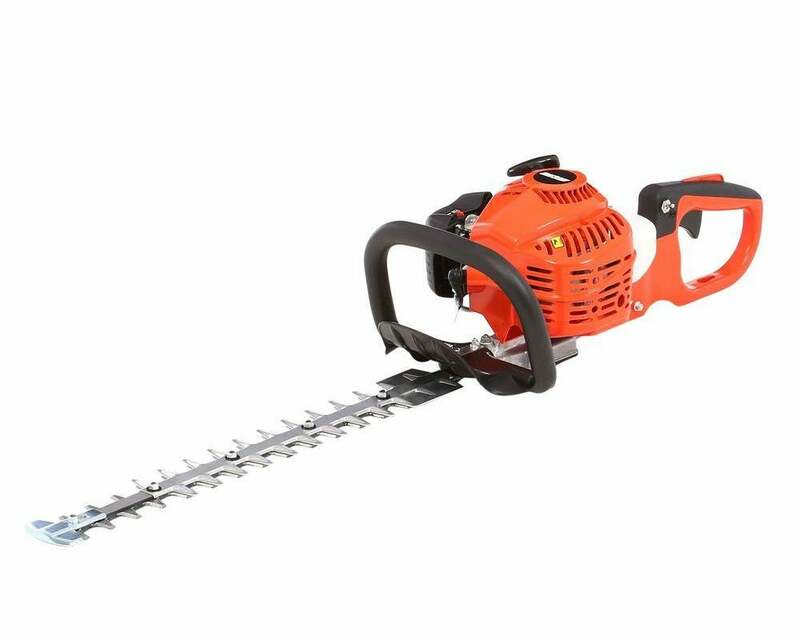 Its 22-inch blades are dual-action, meaning they move in two directions, to easily slice through branches up to ¾ inches thick with 40 percent less vibration and reduced noise. The DCHT820B comes with a 3-year limited warranty, 1 year of free service, and 90-day money-back guarantee. At 11. 8 pounds, the Echo HC-152 is well-balanced for a gas-powered tool and still top-performing. Its two-stroke engine has a commercial-grade air filtration system—to cut down on fumes—and the 20-inch reciprocating blades are razor-cut for lasting sharpness and precision. Experts on Top Ten Reviews chose the HC-152 as their overall best pick for hedge trimmers, noting special features like a muffler to dampen noise and “easy to maneuver” handle design. Customers on Amazon agree, giving it 4 out of 5 stars and noting that it can “cut a hardwood branch up to ¾-inch” thick. Hundreds of happy reviewers give this efficient and affordable power tool 4.7 out of 5 stars. Weighing in at only 5.5 pounds, the electric BLACK+DECKER HT22 promises easier maneuverability and less vibration than your typical gas trimmers. It is an electric model you need to plug in, but the power tool can still tidy small- to medium-sized yards without needing a break to recharge. With a 4-amp engine and 22-inch dual-action blades made of hardened steel, the HT22 can handle branches up to ¾-inch in diameter. 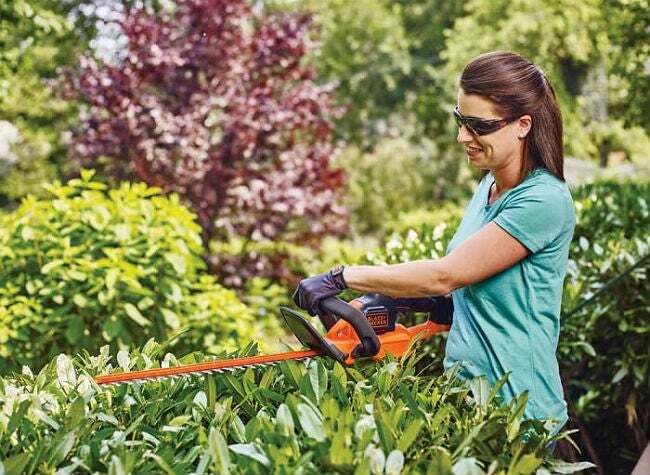 With the LHT321FF hedge trimmer, BLACK+DECKER has set the gold standard for battery-powered garden tools. Its 20-volt lithium ion battery can trim up to 3,000 square feet in a single charge. The blade spans 22 inches long and features dual-action for increased efficiency and reduced vibration. The LHT321FF can cut through branches up to ¾-inch in diameter. At just under 8 pounds, this model is “sturdy and reliable” according to happy customers—and receives an average of 4.7 out of 5 stars. The Greenworks 22102 hedge trimmer has a smaller engine (2 amps), but this budget pick doesn’t skimp on top-of-the-line features. 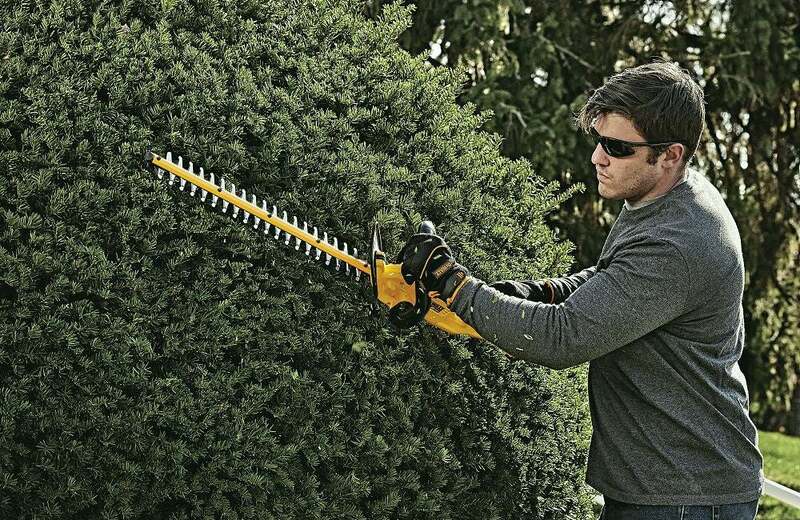 Its 18-inch dual-action steel blades will cut through branches ⅜-inch thick, no problem. The 22102 is also quieter than gas trimmers and one of the lightest recommendations in this list (about 7 pounds). The 22102 was called an ideal choice for small yards by experts at Top Ten Reviews, and hundreds of Amazon customers rate it 4.5 stars for the work it can do. Just keep in mind that you should reserve it for light to moderate trimming. 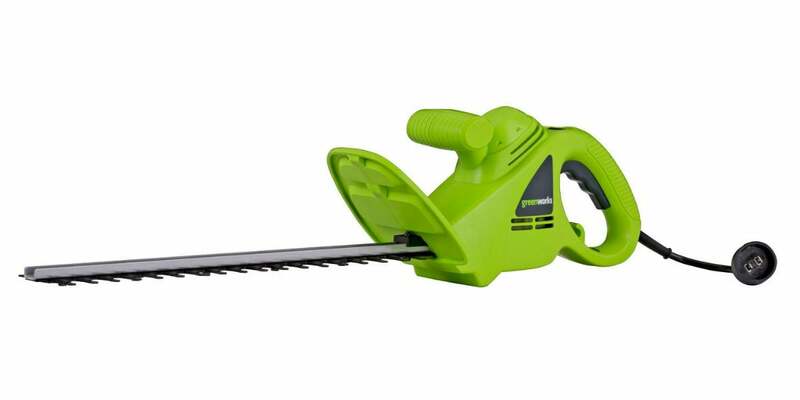 With zero emissions and 4.6 stars on Amazon, this 12.5-pound cordless hedge trimmer is a clear winner. The Makita XHU02Z will run for up to 120 minutes when used on the optimal low-power settings—and it only needs 40 minutes to fully recharge its battery. The trimmer owes its long battery life to an 18-volt lithium-ion battery, which delivers clean, lasting power to the 22-inch cutting blade. The manufacturer boasts that the Makita XHU02Z is also 25 times quieter than comparable models. This compact, energy-efficient trimmer weighs little more than a laptop—about 6 pounds. What it lacks in size, it makes up in power. Customers report that the Worx WG255’s optimal run-time is 40 to 45 minutes from a 20-volt lithium ion battery. The dual-action steel blades, meanwhile, are protected by a rustproof aluminum cover and slice through twigs and branches up to 9/16-inch in diameter. 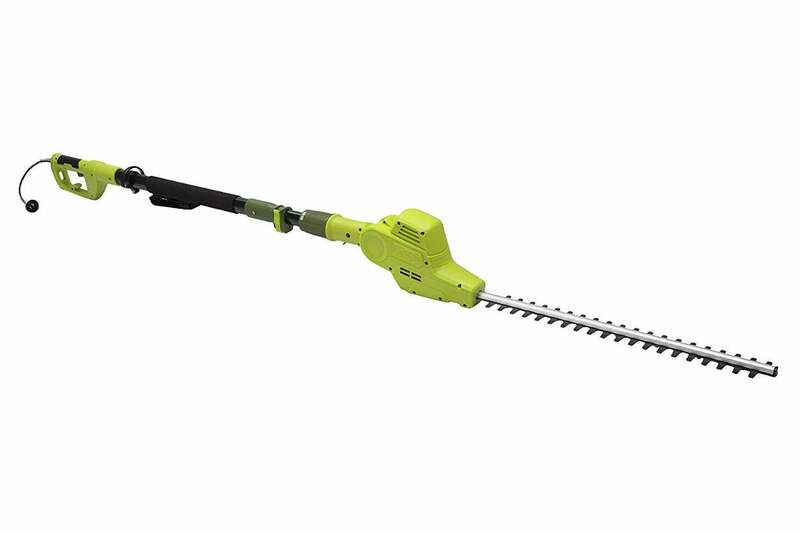 Amazon customers award this cordless hedge trimmer 4.5 stars, noting that it meets or surpasses expectations. For out-of-reach branches, forget the ladder (which can be unstable) and try a telescoping hedge trimmer. Sun Joe’s SJH902E electric trimmer has just the adjustable pole you need, one that reaches heights of up to 13 feet. Then, the 21-inch hardened steel blade attaches to a pivoting head to reach and prune branches up to 7/10 inches thick. Its average weight (relatively 9 pounds) will require some upper body strength to maneuver above your head, but most consumers are happy, rating this telescoping trimmer 3.9 out of 5 stars for reducing gardening time at a budget-conscious price. With additional reporting from Amy Lynch.